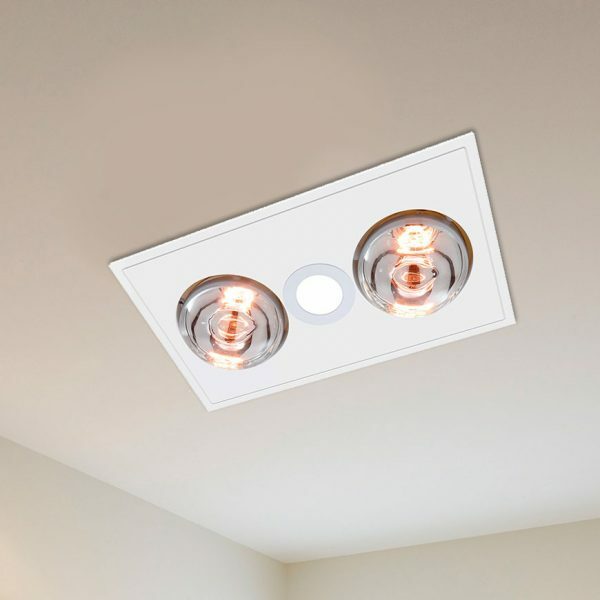 The Ventair Myka 2 bathrrom exhaust fan features 2 x 275w durable heat lamps and a 10w LED 4000k natural white light. The Myka is a very stylish unit featuring a modern, low profile fascia. The Ventair Myka 2 bathroom exhaust fan is great for an uncluttered roof space while providing multiple functionality in an all-in-one package. With its modern look, Ventair have designed the Myka 2 to be a sleek and functional part of your bathroom. 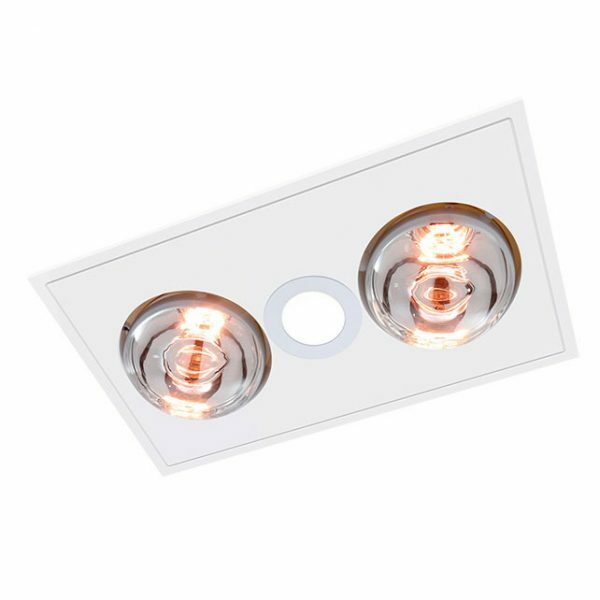 The Myka 2 comes with two heat lamps which instantly emit heat, a lamp and a powerful exhaust fan. These functions can operate all together or individually, depending on your needs.